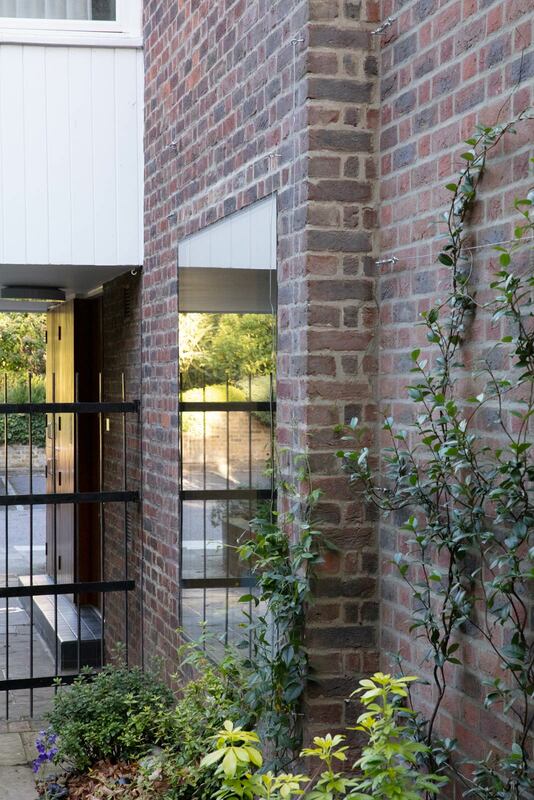 The project included a rear extension in matching brick, internal refurbishment and new landscaping. 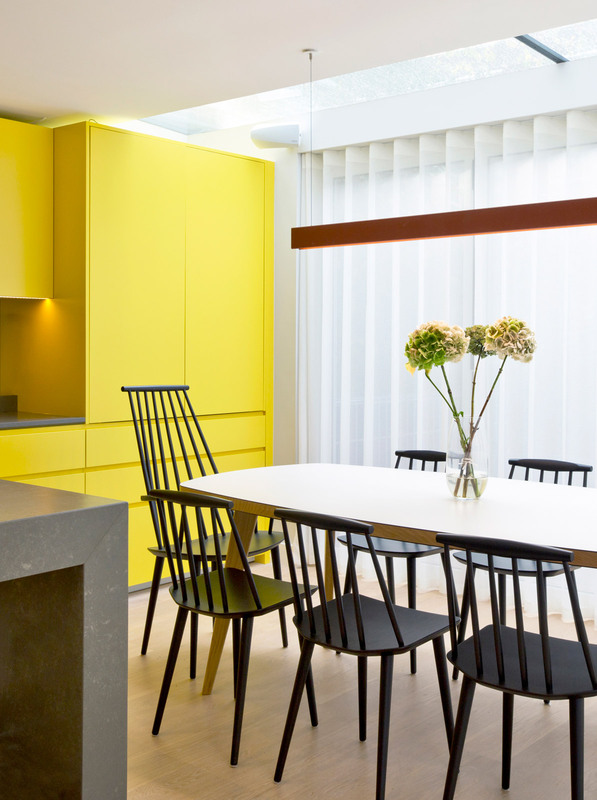 Original internal partitions were removed to create flexible open plan living spaces. 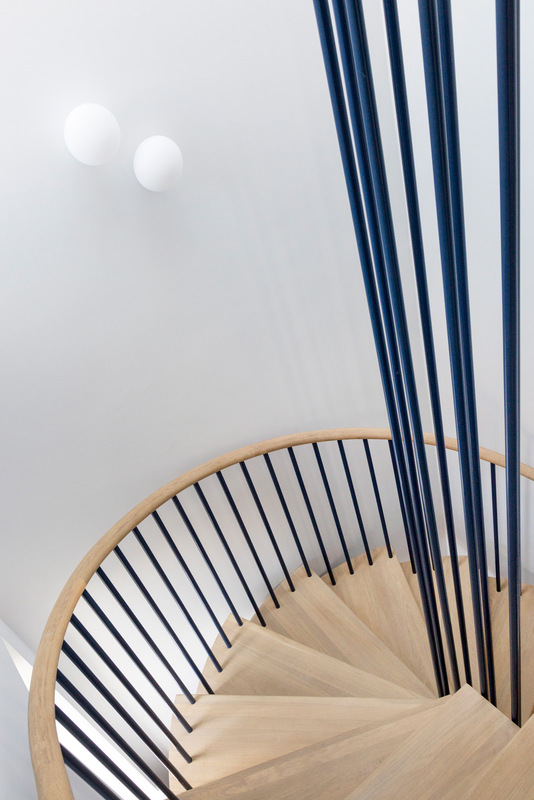 A new winding stair is finished in powder coated steel and oak. 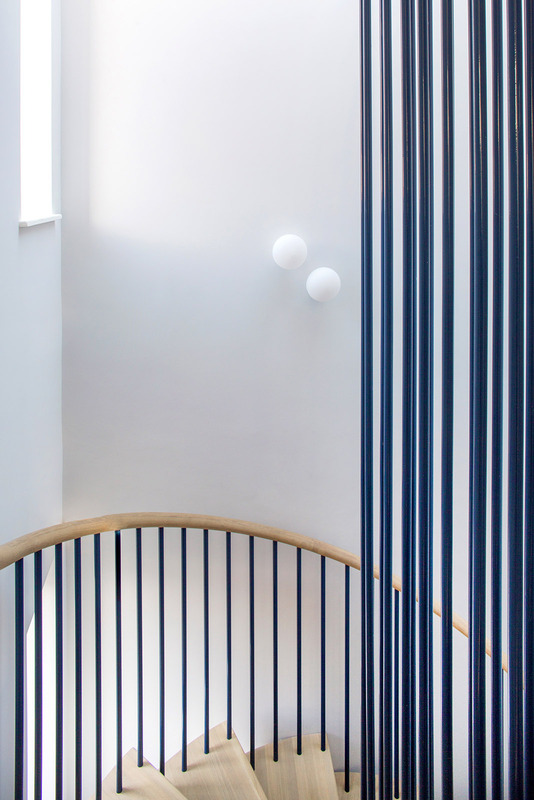 This compact stair results in significant additional useable floor area on each level. 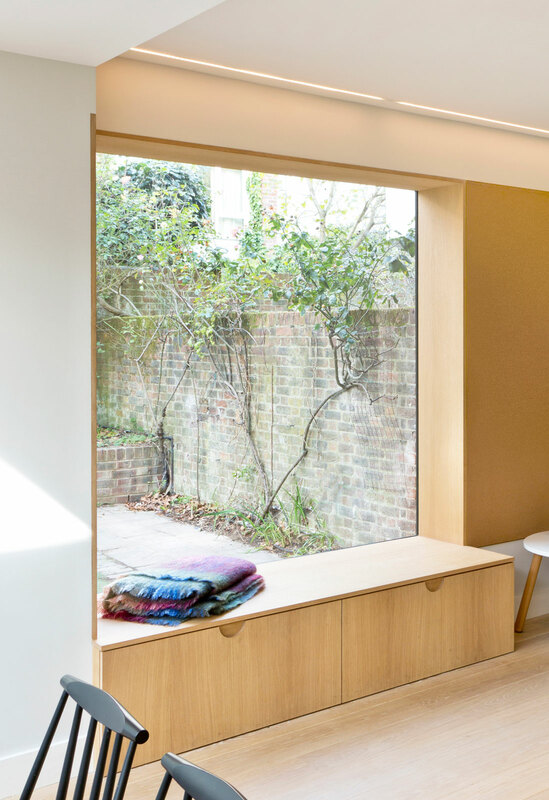 The rear extension at ground floor creates a kitchen and social space, with a large frameless window allowing new views of the side garden. 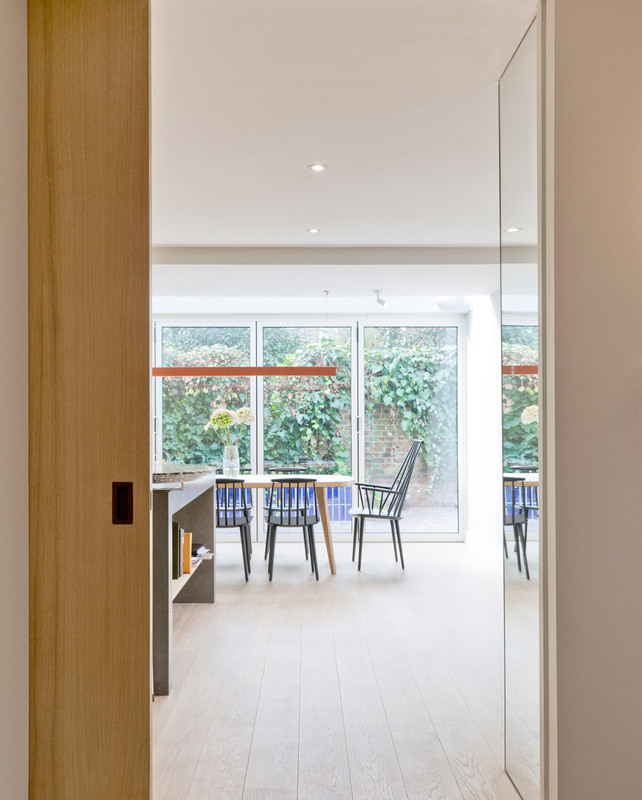 White oiled oak flooring provides a clean contemporary finish, while reflecting light deep into the room. 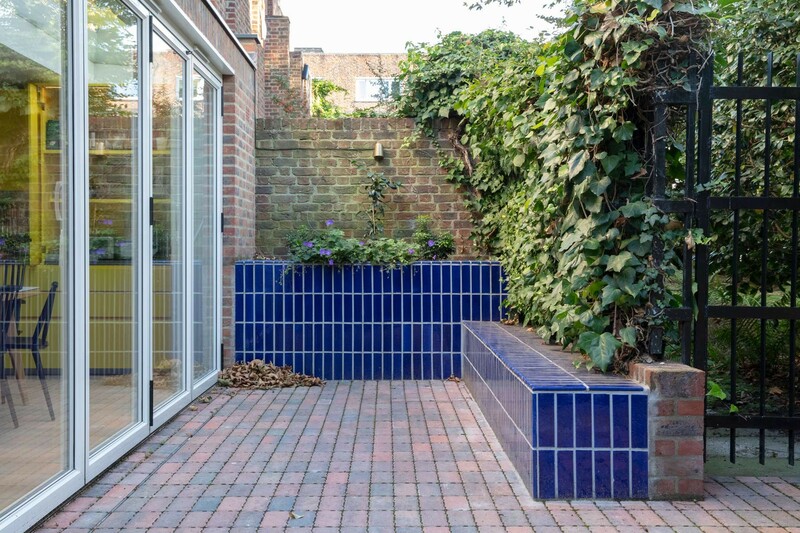 Dark blue ceramic tiles in the garden draw inspiration from the original tiles at the entrance to each house. 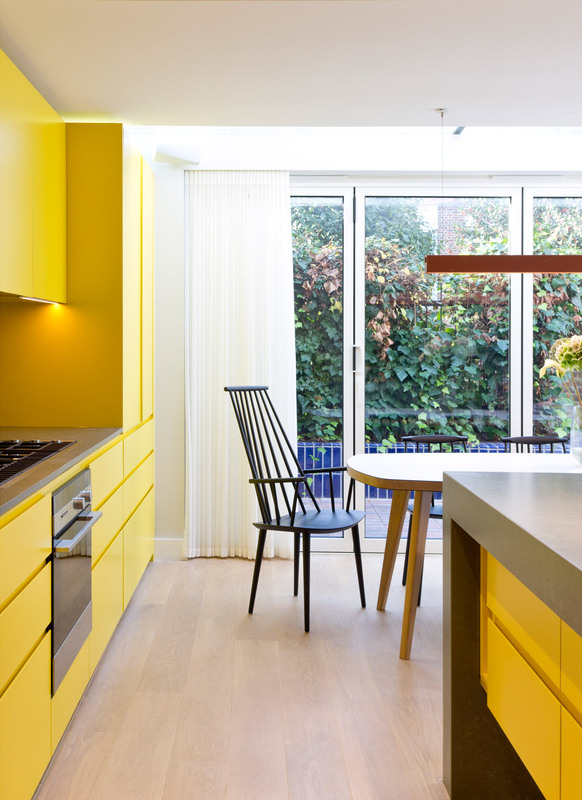 Bold colour highlights continue in the kitchen units, new stair and the geometric tiled bathroom. 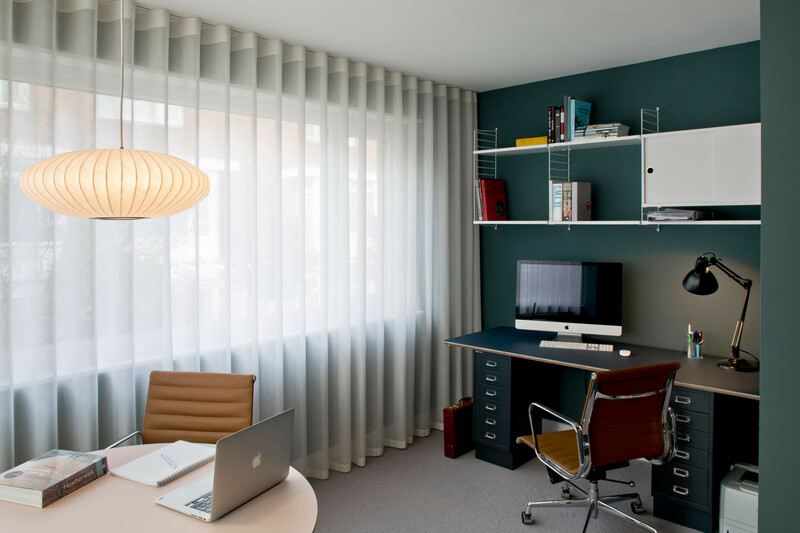 At first floor, a flexible space can be separated with sliding doors to create a study, play room and a formal reception room overlooking the garden. 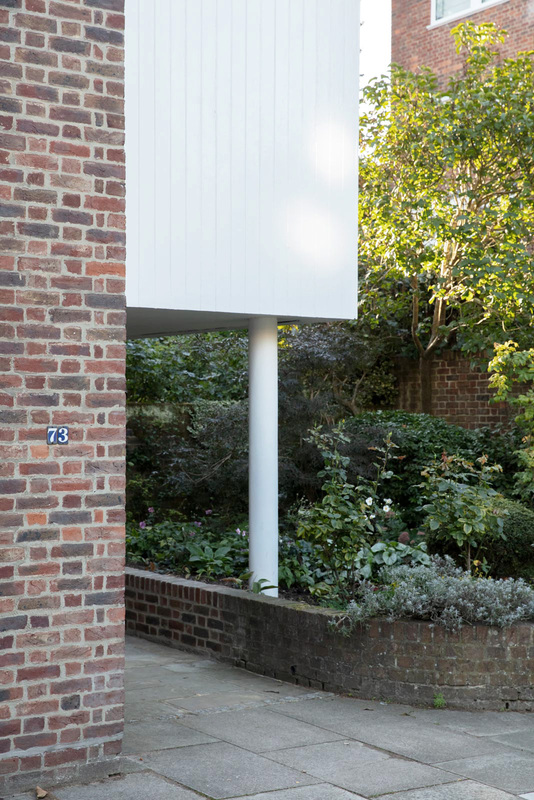 The study is located in the original shiplap timber clad bay, that cantilevers over the main entrance. 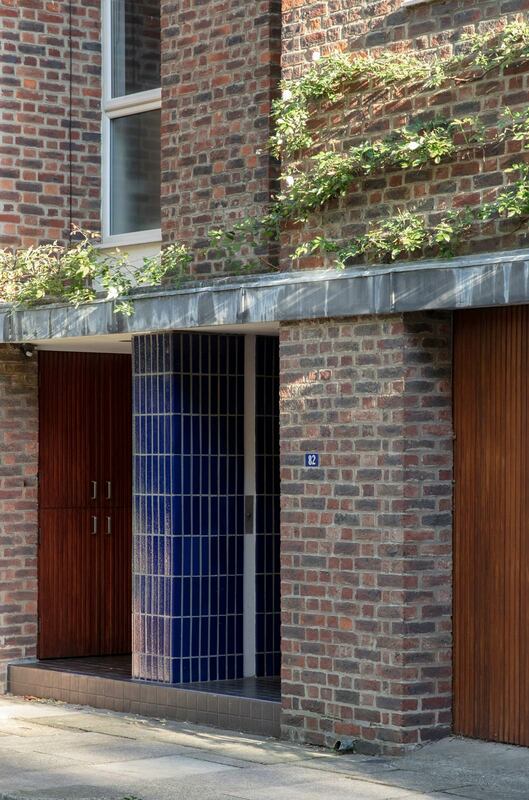 The house is finished with a selection of mid-century furniture in keeping with the era. 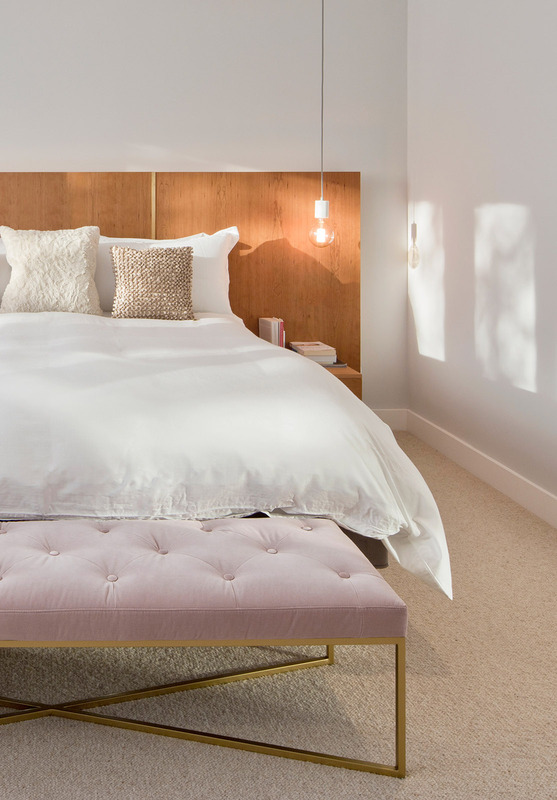 In collaboration with Liddicoat & Goldhill.